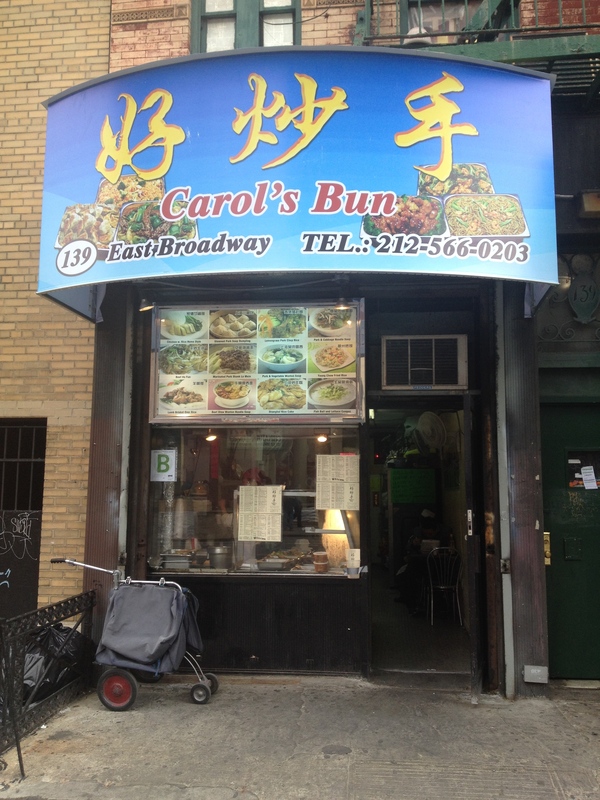 As part of my cutting edge coverage of restaurants with names that make me smile in Chinatown I bring you: Carol’s Bun. Not sure why I find this so amusing other than the obvious bun-in-the-oven image it conjures up. Carol’s place is a hole in the wall store front on East Broadway with a menu split up into Shanghai, Beijing and Hong Kong which I don’t think I have ever seen before. Oh and just for the sake of diversity and to give the menu an international feel Carol has included that perennial favorite: Swiss Chicken Wings. She serves “Party Tray” as well. Kidding aside I love this place, its focus is affordable food for the working class/neighborhood folks who want to pick something up for dinner after a long day or stop in for a quick bite. Best for lunch. People mostly think of New York and think high culture, shows, and fancy or cult foods (Big Gay Ice Cream, Marigold’s Cupcakes, Peter Lugar’s Steak House etc.) Unlike so many other cities where the Chinese/Asian population has decamped to the suburbs NYC’s Chinatown is still vibrant, sure there has been some movement, but in New York’s case the movement has been to Queens so not suburban just another urban option where the rents are cheaper. 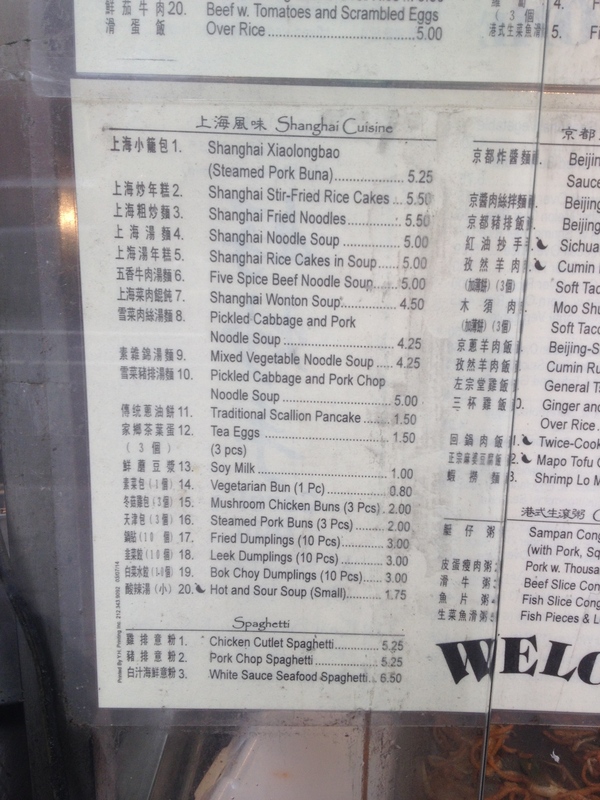 Whether visiting or living in New York Chinatown is a great place to hang out, wander around and eat. It offers a real glimpse into a part of the city that hasn’t changed radically and where you still get a sense of old New York, not the fancy condo and tourist spots like Chelsea, a neighborhood that when I first moved here used to be decidedly dodgy and now is so fancy and built up it’s almost unrecognizable. 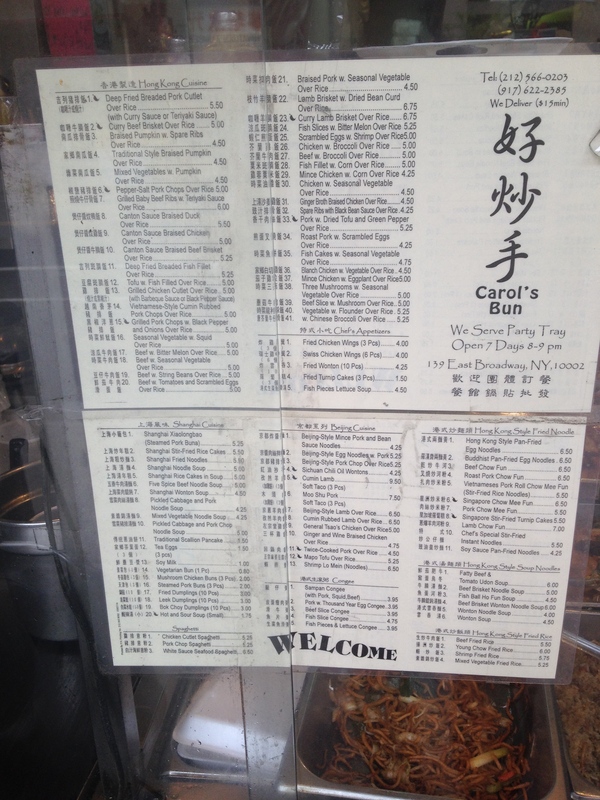 This entry was posted in NYC and tagged carol's bun, Chinatown, Chinatown 1986, NYC, Shanghai Cuisine, video. Bookmark the permalink.